In her new role with the Grand Rapids investment and wealth-management services provider, Mac will primarily be responsible for managing the anchor relationships of Legacy’s Family Office platform. She will provide thought leadership in the areas of investment, estate and income tax planning strategies while collaborating in the delivery of fiduciary, philanthropic and administrative services to the firm’s current and future Family Office clients. Her arrival fulfills succession planning needs for existing and prospective clients. Mac joins the executive management team of Legacy Trust and will also focus her efforts on developing new Family Office clients who will contribute to the continued growth of Legacy Trust’s Family Office practice. “We are delighted to welcome Quan to the growing team at Legacy Trust,” said William Walker, president and CEO. “She brings extensive experience in wealth administration and both public and private equity investment strategies suitable for the current and future needs of this highly specialized service unit. 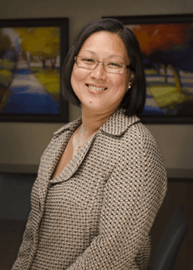 Mac brings 17 years of investment management, family office and related experience to her new role with Legacy Trust. Most recently, she served as director of global private equity for RDV Corp.
She also developed extensive investment consulting and asset management experience during her tenure at UBS Global Asset Management/Brinson Partners in Chicago, Merrill Lynch Private Client Group and Merrill Lynch Investment Managers, both in California, and Transamerica Insurance and Investment Group, also in California. Active in the community, Mac serves as immediate past president of the Westminster Presbyterian Church Board of Trustees. She is a member of the boards of both the Student Advancement Foundation of Grand Rapids and the Grand Valley State University Portfolio Management Class. She is also a member of the Northwestern University Council of 100. Mac received her master’s degree from the University of Chicago Booth School of Business and her bachelor’s degree from Northwestern University. A native of Grand Rapids, Mac now resides in Ada with her husband, Gaëtan Gerville-Réache, and their three children Camille, Tristan and Elise.